Contractor: Goldberg General Contracting, Inc. Things are looking up for the oeuvre of Louis Sullivan (1856-1924), the architect known as the father of modernism. After three of his buildings were destroyed last year, his last commission, the 1922 Krause Music Store in Chicago, was renovated this year. The National Register-listed buildings terra cotta exterior was restored and its interior converted to offices; this month, workers are completing the landscaping portion of the project. 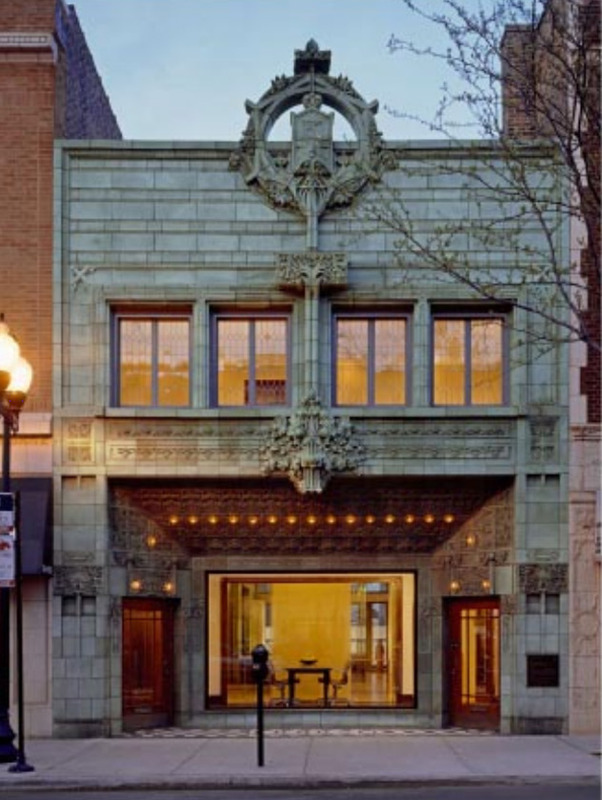 The building, whose facade is protected because of its status as a Chicago landmark, was a museum until 2005, when Pooja and Peter Vukosavich “architecture buffs,” Goldberg says, bought it to renovate it as offices for their marketing communications company. Although the building is not open to the public anymore, the owners welcome onlookers.